The following information regarding the LSRP program pertains to commercial property owners. Homeowners with unregulated heating oil tanks are not required to enter into the LSRP program. If you own a property that has contamination you need to hire an LSRP to help you navigate New Jersey's environmental regulations. The New Jersey Licensed Site Remediation Professional (LSRP) program changes NJDEP oversight of the investigation and cleanup of contaminated commercial properties in New Jersey. Instead of an NJDEP representative actively managing and reviewing work performed, commercial property owners must hire an LSRP to perform and certify that the commercial site is in compliance with New Jersey environmental regulations. The program requires owners of commercial properties in New Jersey that are known to have some level of contamination (i.e., property has an NJDEP case number) to hire an NJDEP LSRP. Hiring an LSRP is akin to hiring an accountant or attorney to handle your respective financial and legal issues. An LSRP is an environmental professional with at least 10,000 hours of environmental remediation and investigation experience and is knowledgeable of New Jersey's environmental regulation. (N.J.A.C. 17:26E Technical Requirements for Site Remediation). Commercial property owners have been receiving written notices from the NJDEP informing them that they must engage an LSRP to manage their environmental issues. (Residentail property owner's with underground heating oil tanks are NOT required to enter into the LSRP program.) The NJDEP was allowing a grace period for commercial properties that had existing NJDEP case numbers (New Jersey spill numbers) to avoid entering the LSRP program. These older NJDEP cases had to have work completed and submitted to to the NJDEP by March of 2012 to allow the NJDEP time to review the reports prior to the May 2012 deadline. The May 7, 2012 deadline is the final day for all open NJDEP commercial cases to have entered the LSRP program. The NJDEP has been sending the following letter -NJDEP Compliance Assistance Alert Letter to commercial property informing them of their obligations. 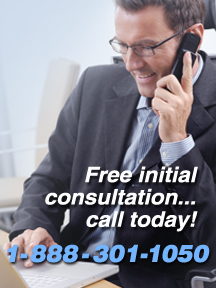 Curren offers a free one hour consultation of your case, call 888-301-1050 to speak to one of our environmental professionals. Based on our discussions with various NJDEP Case Managers there appears to be a slim chance to close out existing NJDEP cases under the review of the NJDEP. The stacks of case files pending review at this time appear to be more than the NJDEP can provide responses to by the May 7, 2012 deadline. Therefore, the NJDEP is currently recommending that future submissions be performed under the direction of an LSRP. Existing cases must Opt-In to the Site Remediation Reform Act (“SRRA”) Program and retain an LSRP. All new cases and those cases which initiated remediation or remedial actions after November 3, 2009 need to hire an LSRP immediately. Therefore, at this time, it appears that almost all future NJDEP submissions, except where the remediating party has not performed timely actions and where the concern poses a significant threat to human health and the environment, must involve an LSRP. One of the most significant first submissions for existing cases and cases which initiated remediation prior to November 4, 2009, if it has not been completed at this time is the Receptor Evaluation (“RE”). The Initial RE should have been submitted to the NJDEP by March 1, 2011 or one (1) year after the initiation of remediating a site after March 1, 2010. The Mandatory Timeframe for submission of the Initial RE is March 1, 2012 or two (2) years after the initiation of remediation that occurs after March 1, 2010. Since it is not mandatory that older NJDEP cases (cases that existed prior to November 3, 2009) enter the LSRP program prior to May of 2012, these responsible parties have the opportunity to address their issues without entering the LSRP program. The advantage older cases have is that doing what is needed now, can avoid costly steps that are required under the LSRP program. The key timing constraint is that the work must be completed, submitted and reviewed by the NJDEP before May 2012. If you have received a letter from the NJDEP informing you of the LSRP program and giving you the option to enter the program, now may be your window of opportunity to close your case number. Curren offers a free one hour consultation of your case, call 888-301-1050 to speak to one of our environmental professionals. Curren offers Licensed Site Remediation Professional (“LSRP”) Services. The New Jersey Site Remediation Reform Act (“SRRA”), approved in May 2009, set in place the requirements for environmental professional licensing as Licensed Site Remediation Professional (“LSRPs”). The program has been modeled after a similar program in Massachusetts initiated in 1993. It is reported that the NJDEP currently has over 15,000 cases awaiting remedial activity. The implementation of the LSRP Program would result in a significant increase in the amount of sites restored in a timely manner. The key idea of the New Jersey SRRA Program is so that the NJDEP can focus their resources on the more important sites and to allow the responsible parties to move the remediation process along without extensive NJDEP review and comments. The LSRP has the educational and experience background to act as the enforcement arm of the NJDEP and is allowed to move remediation projects forward without NJDEP pre-approval. The LSRP ensures that sites are investigated and remediated in accordance with the NJDEP Technical Requirements for Site Remediation. The LSRPs will issue Response Action Outcomes “RAOs” for sites where the remediation has been completed. The RAOs take the place of the currently issues No Further Action Letters. LSRPs are overseen by a board of 13 members and approximately 10% of LSRP cases which are closed with an RAO will be reviewed or audited for compliance to the Technical Requirements and to confirm that the site remediation approach is protective of human health and the environment. The NJDEP will still act as the final approval authority through the auditing process. The LSRP is charged with the responsibility of reporting any issue deemed an Immediate Environmental Concern (“IEC”) on any site the LSRP is involved with including due diligence assessments. Responsible parties, under the SRRA program, remain responsible for regulatory compliance issues and are held to mandatory time frames. If a Responsible Party misses a deadline, they may be forced into the “Direct Oversight Program” where the NJDEP becomes the primary oversight on the case. This also opens up the Responsible Party to possible enforcement actions. Other issues which will require NJDEP Direct Oversight would include chromate contaminated wastes, environmentally-sensitive areas where natural resource damages have occurred, some contaminated sediment sites and sites which have been ranked as a priority based on exposure of human health and the environment. The NJDEP LSRP program requires that all responsible parties (RP) are required to hire a licensed site remediation professional (LSRP) by May 7, 2012, and to then proceed with the remediation without Department pre-approval. To opt-in the responsible party must complete the LSRP Notification of Retention or Dismissal Form. The form is signed by both the LSRP and the RP, Submission of this certification results in automatic Department approval. No other NJDEP approvals are required. 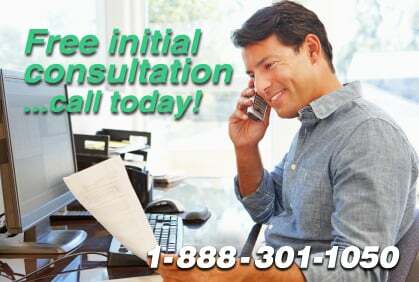 Free no obligation consultation to answer your questions about the NJDEP LSRP process. If your request is not during our regular business hours (8:30 am to 5:00 pm Monday to Friday, Eastern Standard Time), complete the form and a environmental professional will contact you within the next business day.